Defluoridation is an essential treatment of water in fluorosis-endemic areas to provide safe drinking water. The crippling malady of fluorosis not only affects the bones and teeth, but every tissue and organ of the body, leading to death after prolonged illness. 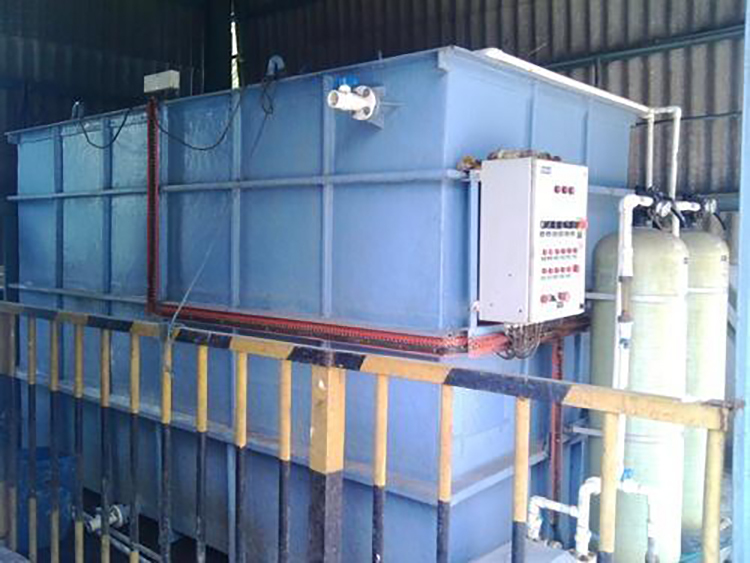 Pristine Water along with NEERI (National Environmental Research Institute, Government of India) have developed Fluoride removal system using the process of Electrolysis. The Fluoride Removal System uses the latest technology in the process of Electrocoagulation. This system not only reduces the content of Fluoride to acceptable limits but also disinfects water. This system is very easy to operate and maintain. The Electrolytic Defluoridation system consists majorly of Electrolyzers made of Aluminium, when DC current is passed between the electrodes electrolysis takes place. During this process the electrodes produce Aluminium Hydroxide. These Hydroxide makes the impurities to coagulate along with Fluorides and forms flocs, which settles in the tank and are filtered using a multi-grade sand filter. For treatment of drinking water, we offer two types of systems, Batch Type Systems and Continuous Type system from 1000 liters to 10,000 liters per hour. Our industrial scale Defluoridation System for Effluent Treatment also comes in two configurations. Batch Fluoride Removal Systems treat the inlet wastewater in one or several “batch” tanks of various sizes. The batch tanks serve as the reaction tank as well as the flocculation and settling tank. The solids from the batch tanks are then filtered and disposed of appropriately. Generally, batch systems are utilized for smaller flowrates and can range up to 45 cubic meters per day. Continuous Fluoride Removal Systems are usually used to treat larger flowrates. A continuous system utilizes reaction tanks, flocculation tank, and then a settling tank followed by filtration. The design of the filtration system depends on the inlet fluoride concentration as well as the presence of other inorganic acids that can lower the pH significantly. The energy required for the process of Electrocoagulation is derived from the main AC source. The AC is converted to DC by the rectifier provided in our panel. But in remote areas where power supply is not available, we offer Solar Energy based system with Photovoltaic Panels and Battery. This is the most cost-effective method as it does not require any special training to operate the system.